Understanding Earth's species and ecosystems is a monumentally challenging scientific pursuit. But with the planet in the grip of its sixth mass extinction event, it has never been a more pressing priority. To unlock nature's secrets, ecologists turn to a variety of scientific instruments and tools. Sometimes we even repurpose household items, with eyebrow-raising results – whether it's using a tea strainer to house ants, or tackling botfly larvae with a well-aimed dab of nail polish. Bio-logging is giving us new insight into the lives of animals such as mountain lions. But our understanding of what affects animals' movement and other behaviours, such as hunting, is being advanced further still by the use of "bio-logging" – equipping the animals themselves with miniature sensors. Many types of miniature sensors have now been developed, including accelerometers, gyroscopes, magnetometers, micro cameras, and barometers. Together, these devices make it possible to track animals' movements with unprecedented precision. We can also now measure the "physiological cost" of behaviours – that is, whether an animal is working particularly hard to reach a destination, or within a particular location, to capture and consume its prey. Taken further, placing animal movement paths within spatially accurate 3-D-rendered (computer-generated) environments will allow ecologists to examine how individuals respond to each other and their surroundings. 3-D printing is shedding new light on animal behaviour, including mate choice. Despite 3-D printing having been pioneered in the 1980s, we are only now beginning to realise the potential uses for ecological research. For instance, it can be used to make cheap, lightweight tracking devices that can be fitted onto animals. Or it can be used to create complex and accurate models of plants, animals or other organisms, for use in behavioural studies. "Bio-batteries" may help to overcome this challenge. They convert naturally occurring sources of chemical energy, such as starch, into electricity using enzymes. "Plugging-in" to trees may allow sensors and other field equipment to be powered cheaply for a long time in places without sun or access to mains electricity. Emerging technologies are exciting by themselves, but when combined with one another they can revolutionise ecological research. 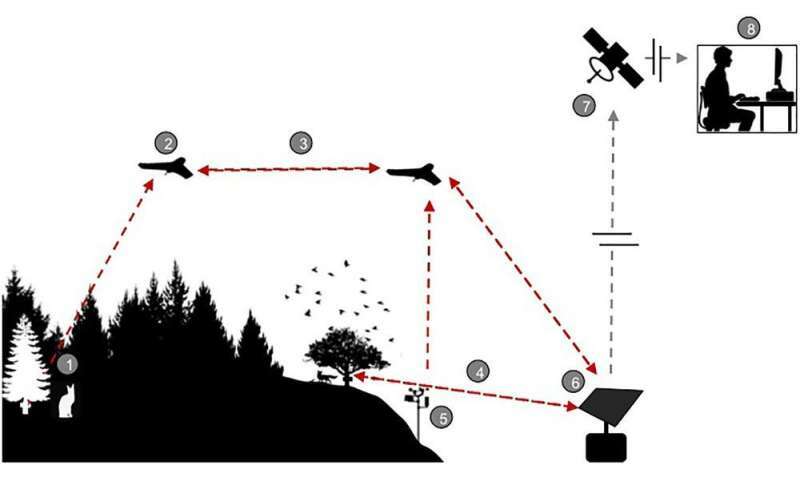 Here is a modified exerpt from our paper: "Imagine research stations fitted with remote cameras and acoustic recorders equipped with low-power computers for image and animal call recognition, powered by trees via bio-batteries. These devices could use low-power, long-range telemetry both to communicate with each other in a network, potentially tracking animal movement from one location to the next, and to transmit information to a central location. Swarms of drones working together could then be deployed to map the landscape and collect data from a central location wirelessly, without landing. 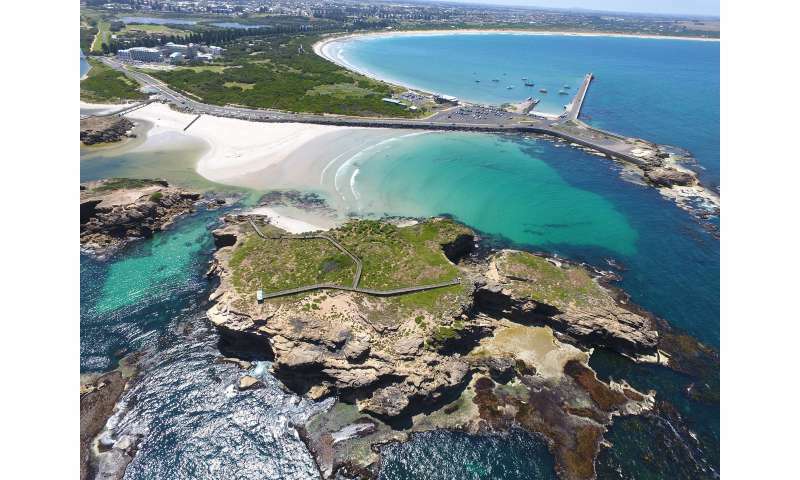 The drones could then land in a location with an internet connection and transfer data into cloud-based storage, accessible from anywhere in the world." Not only will this minimise the stress to animals and the inadvertent spread of diseases, but it should also provide a more "natural" picture of how plants, animals and other organisms interact. Several initiatives, such as Wildlabs, the Conservation Technology Working Group and TechnEcology, are already addressing these needs. But we are only just at the start of what's ultimately possible.